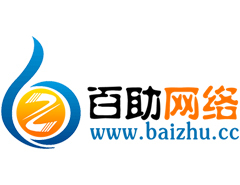 Ma Anshan Baizhu Network Technology Co. Ltd. business started in 2006, was formally established in 2012 and has 10 million of registered capital. In recent ten years, we have been focused on the Internet traffic business. Now the main business of our company including the intelligent recommended cloud download device, cloud open platform, Campanulaceae navigation, Campanulaceae, play games box and so on. We have established a close partnership with Baidu, Tencent, 360 and other large domestic Internet companies. The revenue of our company in 2016 broke 200 million yuan and the tax we paid more than 10 million yuan. Ma Anshan Baizhu Network Technology Co., Ltd technical strength, since its inception has been widely recognized by the industry. At present, the company has obtained a number of high-tech enterprises, Anhui Province, cultural industry demonstration base, Anhui Province, a hundred private cultural enterprises and many other honorary qualifications; and Nanjing University, Nanjing University of Technology, Nanjing Agricultural University, Anhui University of Technology and other colleges and universities signed Production and research agreement, the establishment of a long-term cooperative relations; commitment to the provincial level above two major projects, with independent intellectual property rights: invention patents 3, 10 scientific and technological achievements, high-tech products 6, 9 software products, 98 software copyright. (Ma Anshan) Internet Conference for three consecutive years, to attract domestic first-line Internet company executives gathered in Ma Anshan spread the forefront of Internet thinking, for the development of the economic development of Ma Anshan made some contribution.